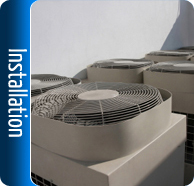 Formed in 1980, Ceilite Air Conditioning Limited has built an enviable reputation and is recognized as an air conditioning and heat pump specialist. 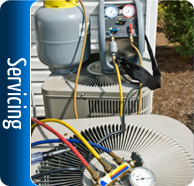 Ceilite’s philosophy is to offer a complete service covering every aspect of design, installation, servicing, and maintenance for industrial air conditioning and heat pump systems. Today, Ceilite reflects quality and professional expertise in industrial air conditioning heat pump systems and home air conditioning throughout, working with consultants and end users nationwide. 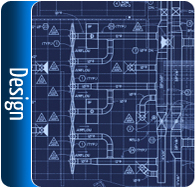 We have designed and developed Safety Card Training Talks. These are based on the Tool Box Talk structure on the back of playing cards and are intended to give advice and guidance on site related tasks to site operatives. The Safety Card Training Talks were developed by Ceilite staff to assist us in staff development. We were attending to tool box talks and, whilst these were of good use, our H & S committee felt the delivery and concept could be improved. The tool box talks were on A4 paper, our operatives would then complete the Tool Box Talk, sign this off and hand it in. Once we had done this, the needed guidance talk was not available to our operatives for reference on site and therefore the Tool Box Talk guidance was limited in the availability when needed by site operatives. There are 55 Safety Card Training talks covering the key subjects in site safety. The cards are designed for multi company use; the cards have been laid out in a structured format which will assist the operative who has not received any formal training on how to deliver or receive Safety Card Training talks. We have set out to develop the existing wide spread process of Tool box talks delivery and have had the vision to develop a training tool to be relevant, usable and an acceptance by site operatives using the Playing Card deck as an index. Ceilite has always been at the forefront of important developments within the industrial air conditioning and heat pump industry, anticipating new technology and becoming accustomed in its application. 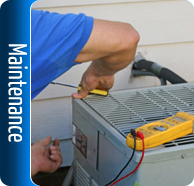 We have a fully trained workforce of air conditioning heat pump specialists who are committed to giving you the best quality service. From helping you choose the best industrial air conditioning heat pump system to installation, design, service and maintenance, Ceilite provides everything you need for efficient air conditioning heat pump systems. By forging strong relationships with leading manufacturers of air conditioning heat pump equipment, Ceilite can respond to any requirements without bias to produce a quality solution. Ceilite counts amongst its clients for industrial air conditioning many instantly recognisable corporations. Every Ceilite customer, whether large or small, enjoys the same high quality of service. It is this caring element that sets us apart and fuels our growth. © Copyright 2019 CEILITE Air Conditioning - All Rights Reserved.